Emerging in Persia, the Bergamasco is an ancient, as old as 2000 years old, shepherding breed. This breed of dogs are independent and brainy. This breed almost became extinct during World War II but was brought back to life by Dr. Maria Andreoli, an Italian scientist and breeder and as a result is believed to have originated in Italy. 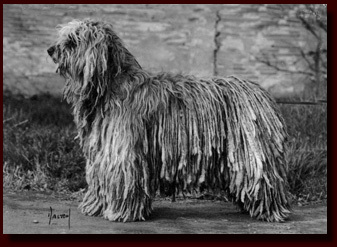 The Bergamasco breed remains rare worldwide even today. The Bergamasco breed has a lifespan of about 13-15 years and is a relatively healthy breed free of most dog diseases because of it being a rare breed.